Red Rubber Inspirations: Love is not just for Valentine's Day! Hi there! I hope you have had a great week so far. 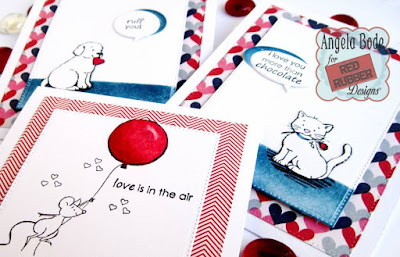 Did you celebrate Valentine's Day? Did you receive or buy candy? I always tell my husband not to get me chocolate, not because I don't like it but because I like to get it the next day on clearance!! Sadly, I think the stores are on to me, there has been far less of a selection the last few years. Today I am featuring a trio of cards from the Red Rubber Designs online store with lots of heart! The Little Darlins stamp set is absolutely adorable. 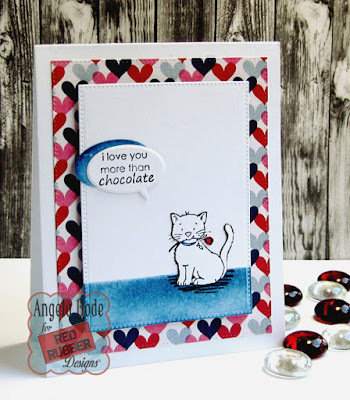 I had so much fun stamping with this cute set, I didn't want to quit! 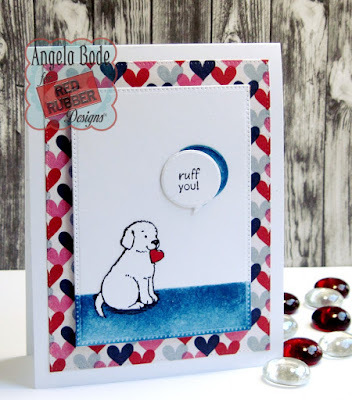 Unfortunately, with a very full week, I was only able to create three cards but I have posted the rubber stamp set at the end of this post so that you can see all the cute images and sentiments that are included! First up for all the dog lovers....I ruff you! 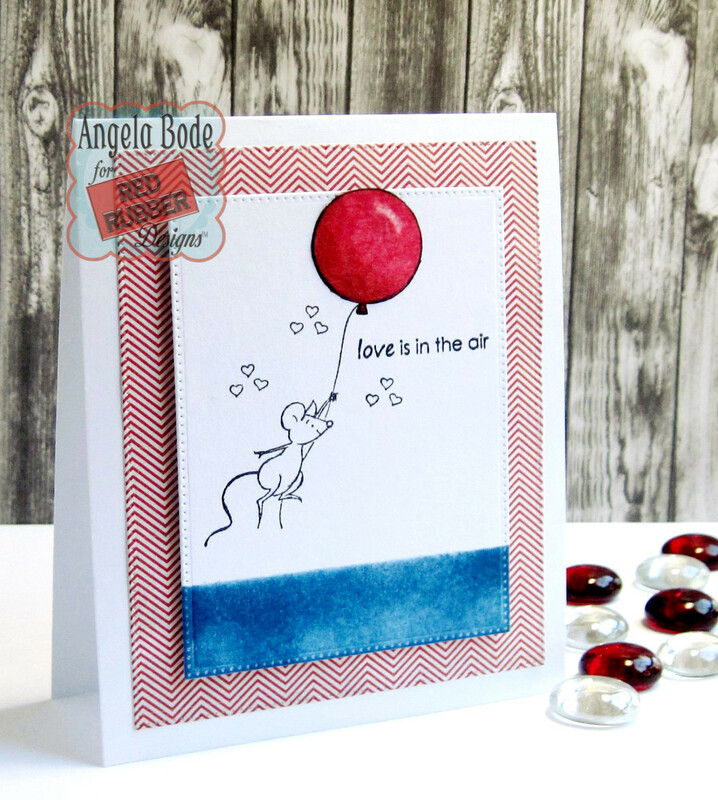 For all the balloon lovers....love is in the air! Here is a look at Little Darlins, isn't it adorable??? 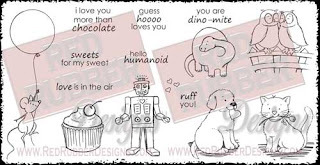 Great trio of cards - all very cute but love the doggy holding the heart.